2. 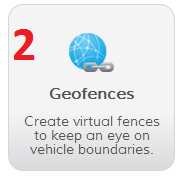 Click the ‘Geofences’ icon. 3. Under the Actions column, click the ‘Edit’ icon. 4. After you have made your changes, click the ‘Save Changes’ button.